DJ’s Lawn Sprinklers continues to strive as the industry’s best. DJ’s Lawn Sprinklers designs, installs, and maintains lawn irrigation systems from the Fox Valley, west to Madison & Sun Prairie, continuing south of Milwaukee to the State Line. Our office is centrally located in Milwaukee giving us the ability to cater to every customer's commercial or residential lawn sprinkler installation and irrigation needs. Since our first service call in 1988, we have added nearly 3,000 customers across the State of Wisconsin. Effective system design, although very important, is only the first step in a new install. 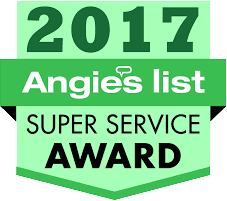 DJ’s Lawn Sprinklers offers all of our customers an Annual Service Agreement. We understand the importance of honest, timely, and professional plumbing services at a fair price. Find a pdf version of your sprinkler system’s owner’s manual posed in this section.